With the increased demand to keep mobile apps and websites up-to-date, finding a way to do it swiftly and efficiently is imperative. Progressive Web Apps (PWA) provide a one-stop solution to this issue. PWAs bridge the gap between native apps and a website. Developing applications using this methodology eliminates the need to maintain the website along with dual native apps for differing platforms. It’s a single solution with the ability to work offline, send push notifications and update in the background as the user interacts with the app. What are the benefits of developing a Progressive Web App? What are the offline capabilities of a Web App? What is the ease of use of these Apps? 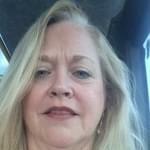 Lori Gambrell is a seasoned technology expert with over 20 years of web development experience. When she is not teaching for Learning Tree International, she is consulting with various companies providing web development solutions.